Why I read this book: Last book in a series of four and I needed something to read on the plane. Recently, Julia Quinn's books have been hit or miss for me. I love her humor and her characters, but the stories just seem a bit old and overdone. They are light and fluffy and that's about all. It was actually perfect for the plane ride back after a rough week at work. The thing that kept me reading this book was the Secret. What was it? 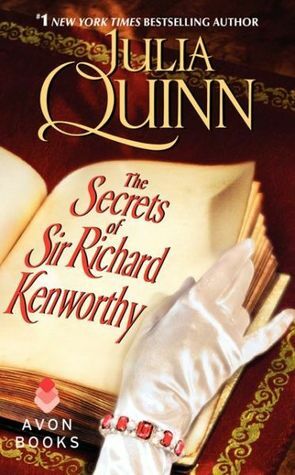 Why couldn't I figure out what was going on with Sir Richard that was making him act so strange? I like that she kept his secret from the reader as well as from Iris. It took me a bit to figure it out, but once one piece of information fell into place, I figured it out. The love story is sort of cute. I liked the time Iris and Richard spent together playing off each other the best. The characters are quite strong, even the secondary ones. I just miss the unpredictability.